I hold a Level 4 Diploma in Holistic Massage with Anatomy, Physiology and Pathology from the Bristol College of Massage & Bodywork. I’m fully insured, a member of the Massage Training Institute and undergo monthly supervision as well as ongoing training to keep me in tip top, ever evolving form! Like most massage therapists I didn’t always do this. I used to work for charities doing regeneration work– it was all about creating stronger safer happier places and people. After I had my children I realised that though I loved this work I didn’t want to go back to it. I chose massage for the simple reason that I loved it and had found it personally transformative. At a vulnerable time in my life it had changed my perspective on who I was and made me stronger, calmer and happier. 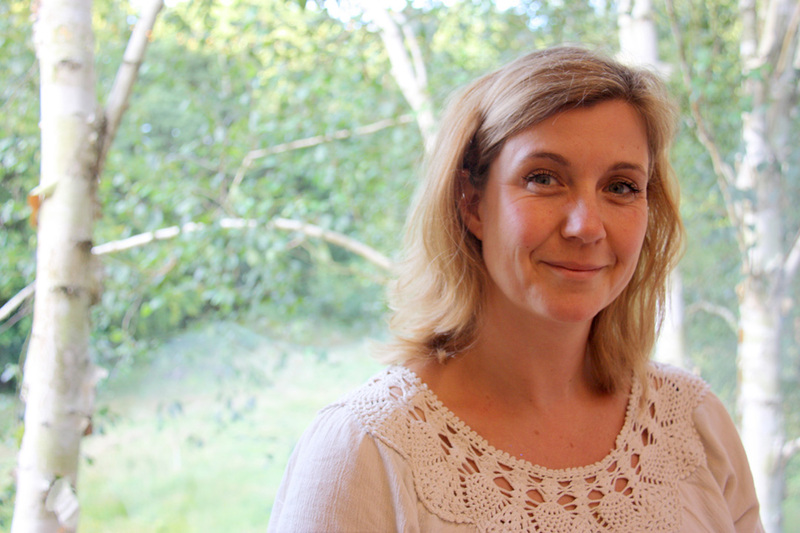 I did my initial training at the Bristol College of Massage and Bodywork – an internationally recognised school that is famed for producing therapists that are totally client centred and work with skilful sensitivity. For a year I learned a whole range of techniques from Swedish massage, deep tissue, mobilisations, subtle energy, lymphatic drainage and much much more. Since then I have gone on to train with some of the finest massage teachers, not only in the country but the world! I have trained in Deep Massage – The Lauterstein Method, Hands Free Massage, Releasing the Neck and Pregnancy Massage. 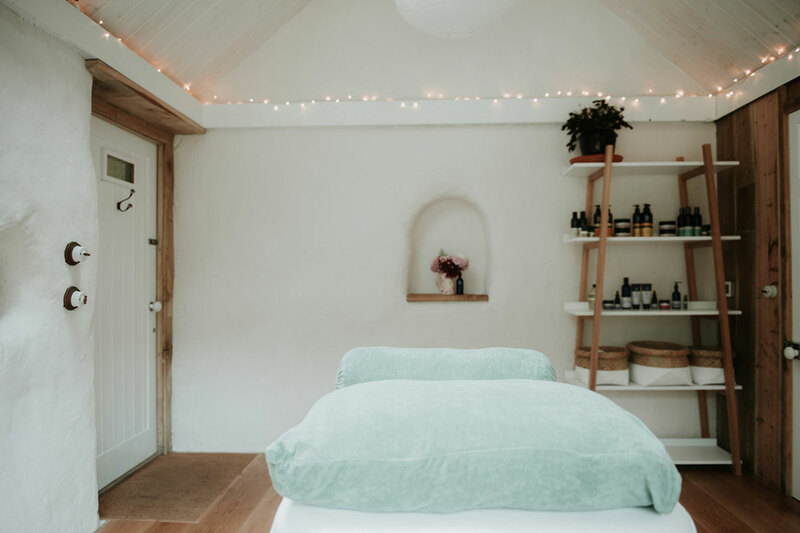 My focus is on creating treatments that meet the needs of the body to enable my clients to feel comfortable and confident whilst also taking account of the soul – leaving them feeling deep calm and clarity and as though, on a deeper level they have been ‘heard’. My beautiful studio in Ciliau Aeron is a very special space. Crafted from straw, local oak and clay, it is suffused with light and looks out over a wildflower meadow where the river Aeron glints between the trees. There is a deep restfulness to it that everyone remarks on so that before you even begin your treatment you are already feeling better! The studio is situated just off the Aberaeron to Lampeter road (A482) in Ciliau Aeron. To get here from Aberaeron take the first road on the left after the village sign for ‘Ciliau Aeron’. Follow the road all the way down the hill and just before the cross roads you will find a small parking space on the left with a sign for ‘Meadowspace’ on a gate overlooking a field. Take the left hand gate back up the hill to the studio. From Lampeter, take the road on the right opposite the school past the bungalows and through a field. When you see a road coming down from the right pull into the small parking place you will see located at the T junction. There is a sign for Meadowspace on the gate overlooking the field. Take the left hand gate and follow the path up hill to the studio. Below is a list of people I have come to know and trust and whose work I love! Isabelle offers gorgeously relaxing Zen Shiatsu from her beautiful studio near Llangrannog. This is where I go when I am feeling wobbly. Ka-Huna massage is a magical experience; a vigorous and rhythmic treatment quite unlike any other. I love it. Colleen’s lovely studio is just up the road in Bethania. I was lucky enough to enjoy several pregnancy massages from Anastasia. She is based in Cardigan. Staci is a force of nature and a powerful advocate for women before, during and after they birth their babies. Full of strength and fun and deeply sensitive.